Giveaway: It's Our 10 Year Anniversary! | Paint. Draw. Blend. Giveaway: It’s Our 10 Year Anniversary! The giveaway is now closed. Thank you to everyone who entered. If you weren’t a winner this time, there will be another opportunity to enter a new giveaway soon. All of the winners have been contacted by email. 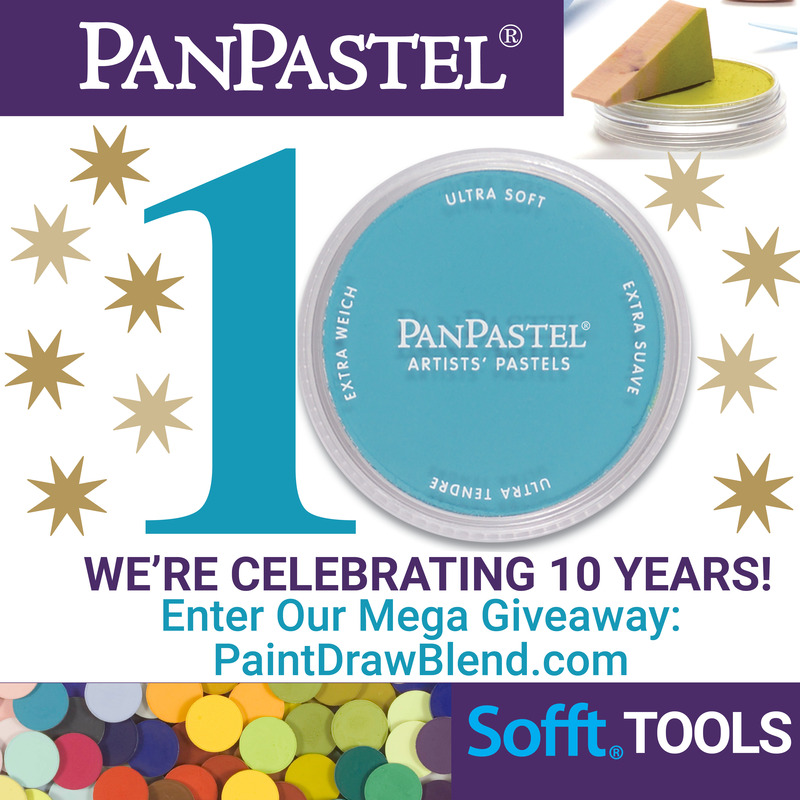 We are celebrating 10 years of PanPastel Colors & Sofft Tools, and we’re running our biggest giveaway ever! We can’t believe that it’s 10 years since we first started shipping PanPastel. Wow – what a journey! 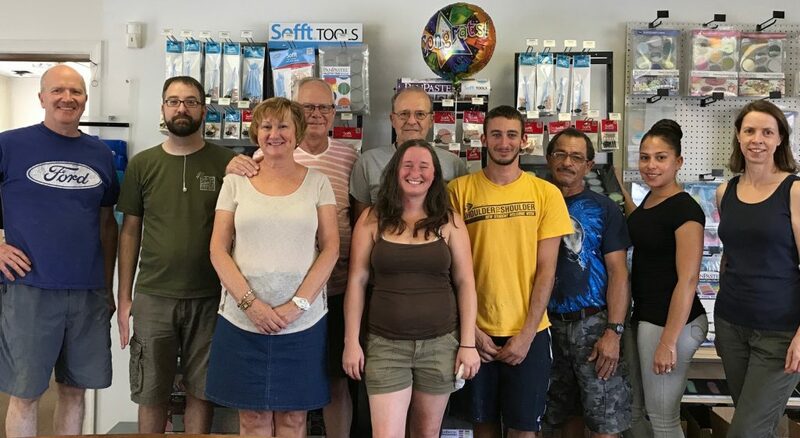 We are so proud of our small Colorfin team and everything that we have accomplished together, behind the scenes they are working hard and putting a lot of care and attention into every product that we make. We are very grateful to everyone who has believed in us and our invention along the way from the very first days when we were developing it in our studio. Thank you to our distribution partners in 40+ countries and to all the retail store owners & staff that stock our products and make them available to artists. And a HUGE thank you to all the artists who create the most beautiful artwork with PanPastel Colors & Sofft Tools. The vision we had when we were developing PanPastel was to create a dry (drawing) medium that can be applied & mixed like a paint. We knew our job was to develop the materials and make them available to artists, and then artists would instinctively know how to use them for their work. And we have been proven so right! Every day we are truly amazed and inspired by the work that we see being created with PanPastel for so many different techniques, we certainly wouldn’t exist without you. 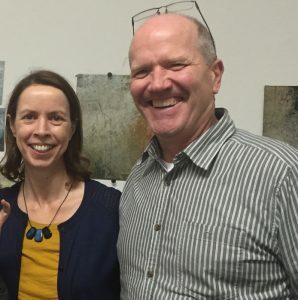 Above we are visiting Rebecca Crowell’s studio during her residency at Ballinglen in Ireland. 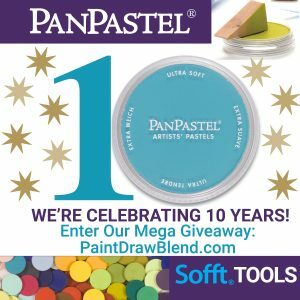 1st Prize: One winner will receive the COMPLETE set of all PanPastel Colors (92) & Mediums (5), along with a full selection of Sofft Tools & palette trays. 2nd Prizes: Three winners will each receive a 20 Color PanPastel Set of their choice. 3rd Prizes: Six winners will each receive a 10 Color PanPastel Set of their choice. Enter to win using the form below by August 20th, midnight EST (New York time). TEN lucky winners will be randomly selected. Winners will be notified by email. We’ll announce the winners on this blog and at our Facebook page.